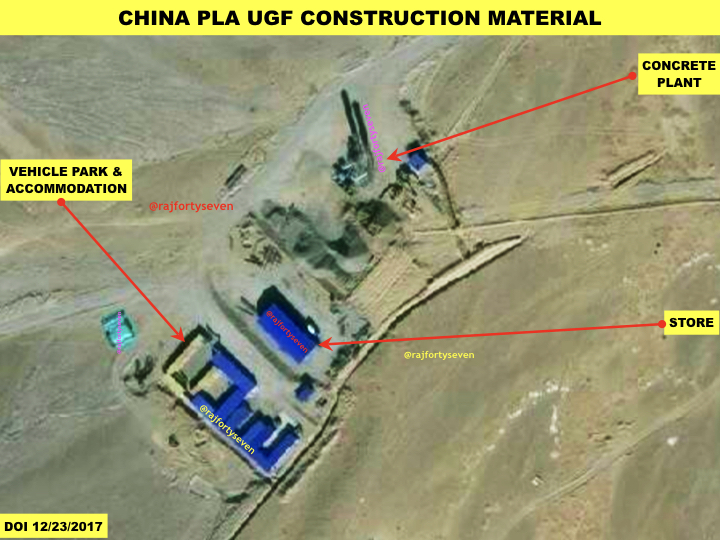 So far, there was just one UGF in Tibet, with another one which could possibly target India being a fair way away in the Xinjiang Uyghur Autonomous Region. 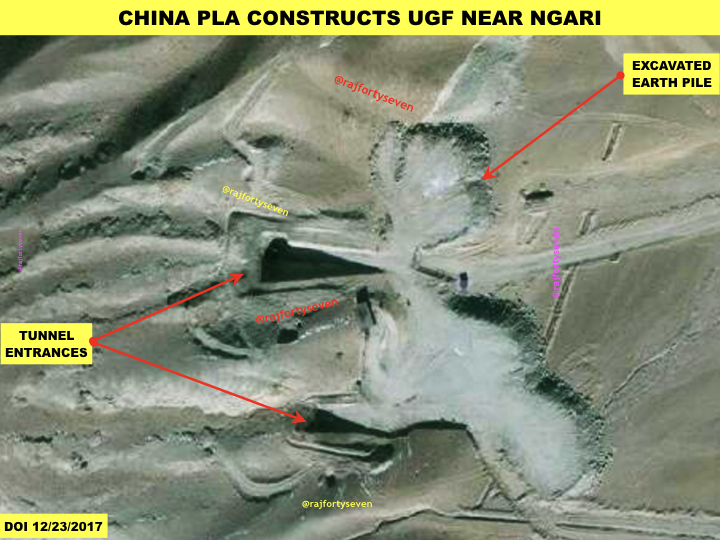 But now, thanks to satellite imagery, ThePrint has identified a deeply buried hardened target (DBHT) under construction near the town of Ngari, also known as Shiquanhe in Mandarin, which could of worry to India. 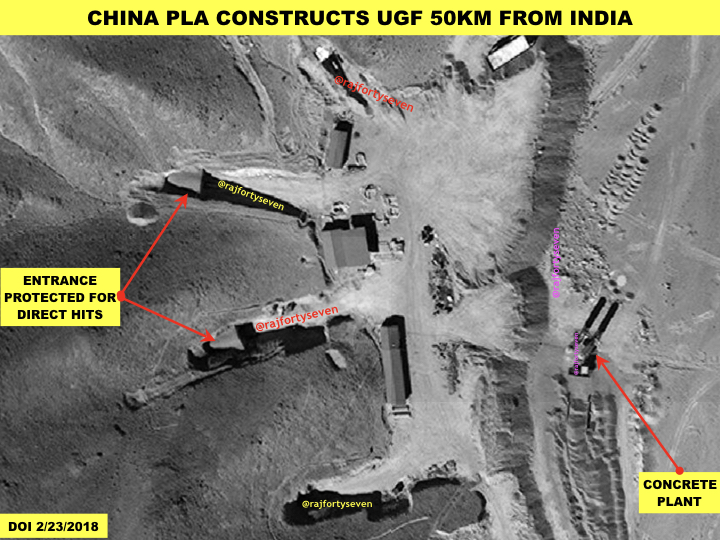 Construction of this UGF began in December 2016, about six months before the Doklam standoff near the India-China-Bhutan tri-junction in the east. The slow speed of construction indicates that special personnel are being used instead of locals, clearly in order to maintain secrecy and security of the facility. The UGF is served by four large tunnel entrances and three small ones. Most of them have barracks at the entrance for security personnel. The facilities are in two separate groups, not very far from each other, and connected with proper roads. They have hardened entrances constructed with reinforced cement concrete. It is assessed that all entrances would soon be covered with other material to withstand even a direct hit. Excavated earth has been piled nearby to avoid detection, but a temporal comparison indicates clear mensuration. The amount of earth excavated indicates that approximately 3.5 lakh cubic metres of space has been created inside the UGF. The construction material for this facility is dumped at two places very close to the entrances. These dumps also have two cement plants sufficient for construction activity inside the tunnels. The material dump has some iron rebars, indicating that the construction work is reinforced concrete. The vehicle park and barrack type of accommodation for workers and staff is located very close to one of the dumps. The tunnelled facility has a support garrison constructed in 2016 and 2017. Construction of another support garrison has probably just begun. Both the garrisons are very close to the main road. The roads are wide enough to let large transporters with big turning radii move smoothly. 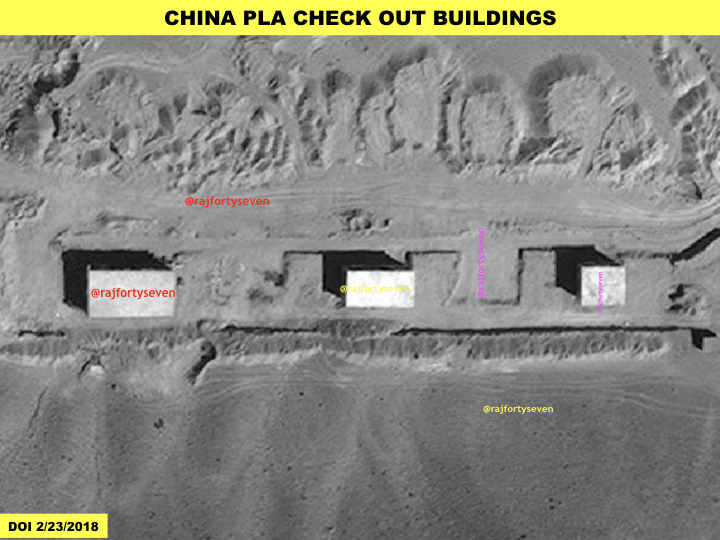 Although it is difficult to indicate the exact purpose of this facility with such low temporal resolution, it can safely be assumed that it may be used for storage of missiles and/or ammunition on wheels.